To celebrate the almighty Nike Air Max Month, the Beaverton brand has been blessing us with some pretty awesome Air Max releases. Whether it be new colorways of old models, are some sleek version of the all-new Nike Air Max 720, Nike has something to offer. This week, Nike will be dropping a whole new Nike Air pack that is sure to get Air Max fans in the mood to open up their wallets. The pack is called "Throwback Future" and features old Air Max models as well newer ones, hence the name. Each shoe comes in a space-like colorway that is sure to look great on-feet while also turning heads. One of the shoes in the pack is 2019's latest Vapormax offering, the appropriately named Vapormax 3.0. With a revamped flyknit pattern, the Vapormax 3.0 is bringing design techniques previous versions lacked. The "Throwback Future" model will be dressed in an all-over Laser Fuchsia, with Racer Blue sprinkled throughout. The air bubbles on the bottom look as though they come in an iridescent purple. A black heel, tongue, and laces round out the features of the shoe. 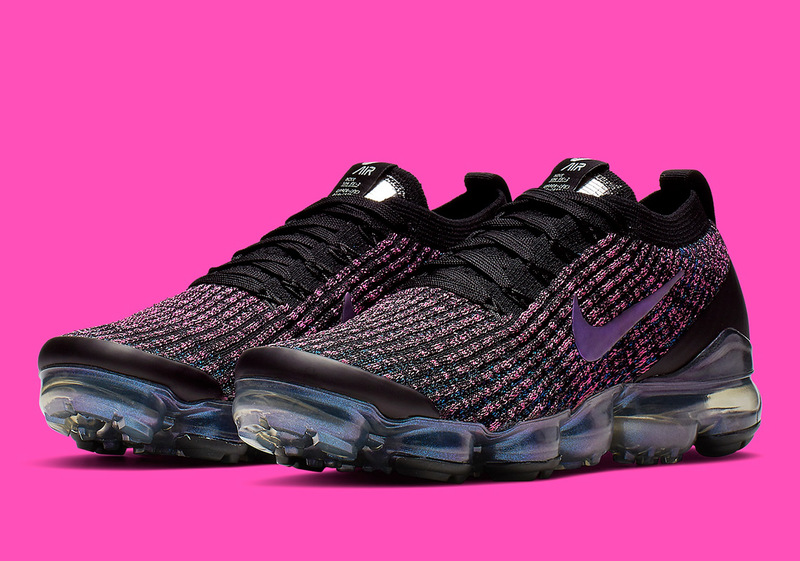 For those who are interested in copping, the Nike Vapormax 3.0 "Throwback Future" will be released on Thursday, March 21st for $190 USD, according to Sneaker News.